Jodi Omerzo is a little sad that her youngest child, Nathan, is 18 and will age out of 4-H this year. Looking back on her time at the fair with Nathan, daughter Lauren, 19, and son Brandon, 21, Omerzo, of Fowler, has enjoyed watching the kids mature as they went through the ritual of the fair: hauling the animals – Nathan is showing turkeys, chickens and ducks this year – setting up the camper, tending to the animals, showing them and then selling them. “It’s about the work done and what you put into it instead of the almighty dollar,” she said. her intimately connected to the fair for the next few years. 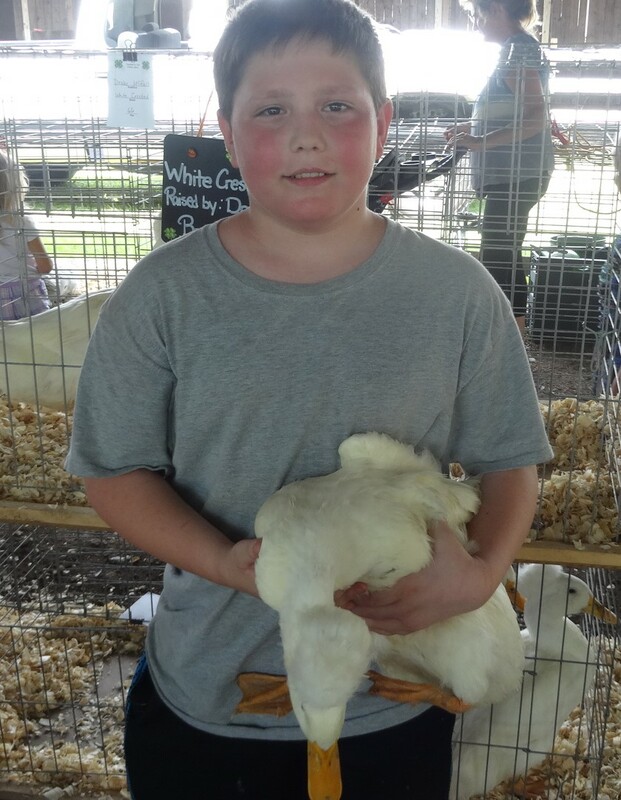 Drake and Dalton are showing white-crested and Pekin ducks – animals they have had only for about four months. 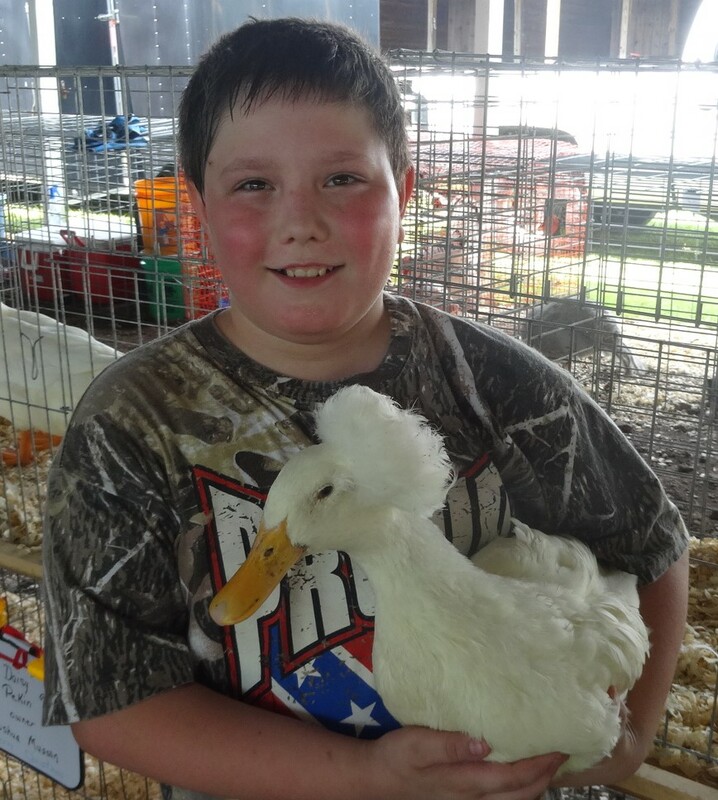 The prospect of earning money from the sale of the ducks was a big draw, Drake said Tuesday, July 10, free admission day at the fair. Dalton said there could be trouble if Drake wins an award and he doesn’t. The boys said they had been to the fair before, but that it’s different looking at the livestock now that they’re showing their own. 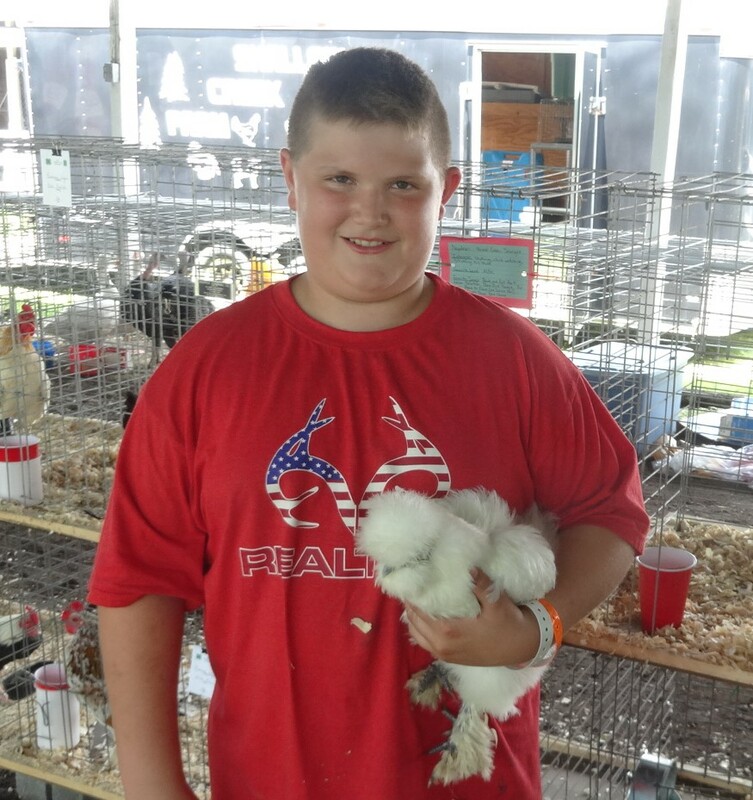 Justin, who is showing silkie chickens and market ducks, is showing poultry for the first time, but has shown, and won awards for, lambs in the past. at the fair, but the boys said they’ll get their time. 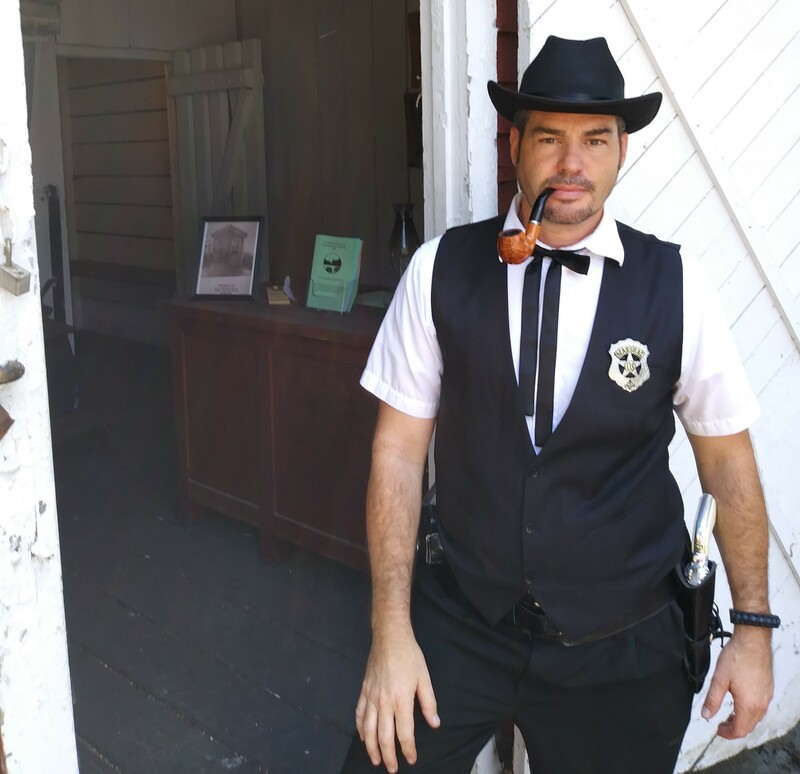 If they wander beyond the animal pens, they might visit the historical village, and see Jeffrey Ford with his pipe, a six-shooter, spurs and a five-pointed star on his black vest. Ford is ready to lock away any kids who come along to Orangeville Jail. “I don’t know how many kids I locked in here last year,” Ford said, but it was a lot. 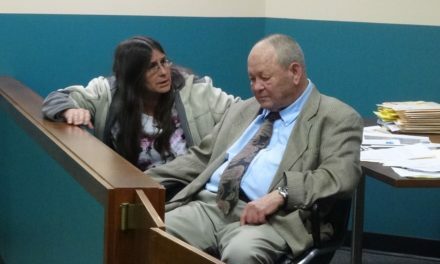 Ford and his girlfriend, Christine Novicky, are with Vienna Historical Society and took over managing the village last year. 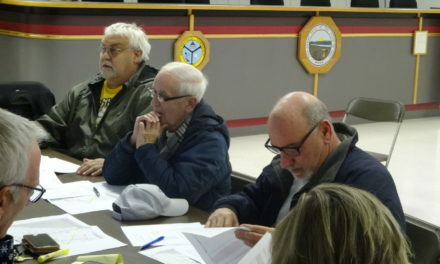 They have installed new windows and doors at the church – Trumbull County commissioners granted the money for the windows – reopened the jail and invited other historical societies to set up displays in the church. Ford said he and Novicky decided to take over the village when it became clear that no one else was going to do it. 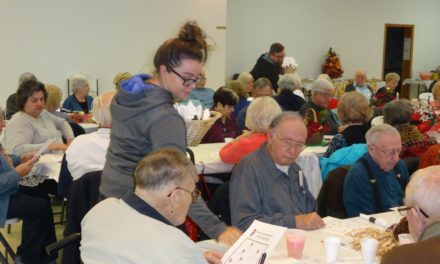 They have funded their work with a candy sale at the fair and an Amish dinner, which they will hold again in the fall. They have plans to fix the concrete pad that leads to the basement of the church, which is not open this year, and repair a wall, and reopen the gas station next door to the jail. 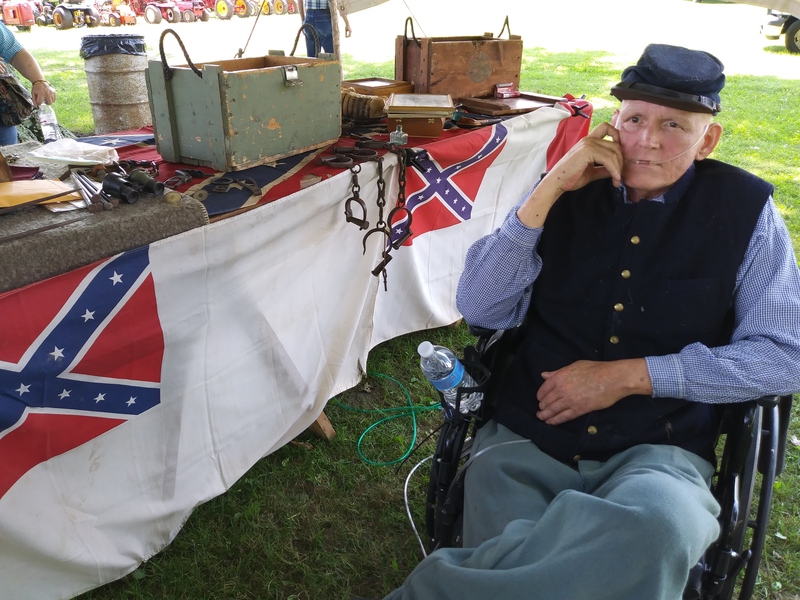 Over at the Civil War reenactment camp next to the village, Daniel Fairchild of Southington shows off Civil War relics: rifled muskets, miniball molds, belt buckles, binoculars and spurs. Speaking of the sidearm that infantry officers carried to shoot deserters, he noted the phrases “the buck stops here” and “go off half cocked” originated from these weapons. He also discussed the evolution of the Confederate battle flag. A Desert Storm Army vet with health issues, who was enduring the heat of the day against his doctor’s wishes, Fairchild apologized ahead of time for some of his turns of phrase, which are considered by many modern ears as racist. As the amusement rides fired up and the smells of cooking filled the air, Omerzo felt right at home. She falls in easily with people who came to the fair to show animals as kids, and have returned with their own kids. 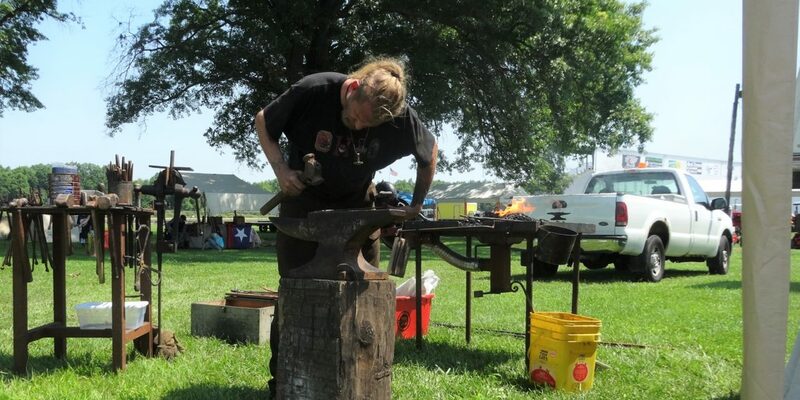 Top photo: blacksmith Jason Nass.